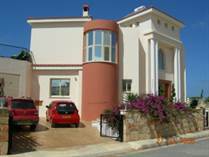 Agios Georgios in Paphos Cyprus property for sale - Luxury Villas & Bungallows. 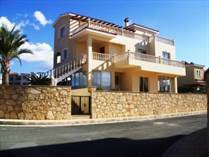 "Impressive Custom Built Home on a Large, Elevated Plot"
"Magnificent Luxury Villa with Panoramic Sea Views"
"Stone Villa w/ Sea Views"
"Exclusive Location on Large Plot"
"Spectacular Sea and Mountain Views." "Large Plot in Prime Location"
"Fantastic Price! + Sea Views"
A point of interest in Agios Georgios that is not highly advertised is the museum that is across the street from the Agios Georgios Monastery. 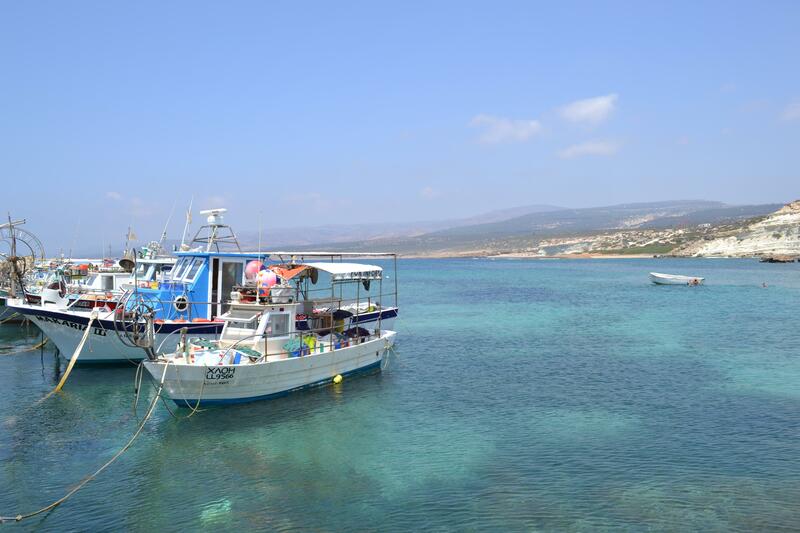 The entrance fee is 1.7 Euros and you can get there easily by car or Bus# 615 going to Coral Bay. There are early Christian Basilicas, a bath and mosaics from the 6th Century. There is no shade or water so make sure to bring a hat and something to drink if you go in the summer. Agios Georgios is an area with exclusive luxury homes that sit between the hills and the banata trees. The small fishing harbour has a nice little beach for bathing and swimming in the clear blue waters of the meditteranean. Above the Agios Georgios church and the excavated settlement from the 6th century. Here is home to an idylicc setting with amazing sunsets and scenery to enjoy. 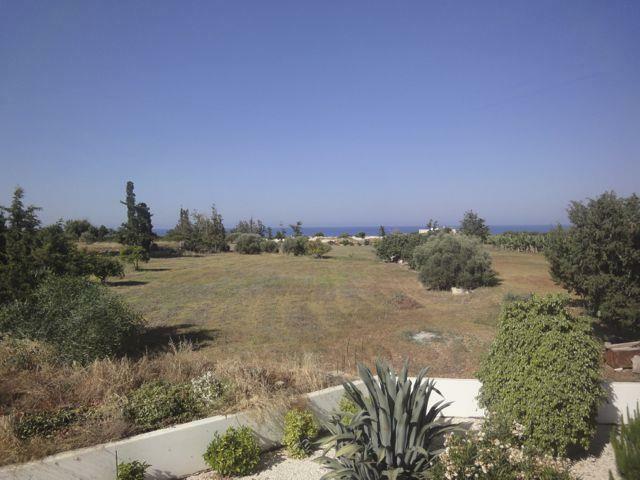 Whether you are planning to buy an Agios Georgios property or sell your existing Cyprus home, contact us today!